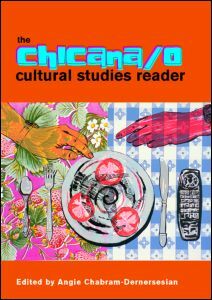 The first and only book of its kind, The Chicana/o Cultural Studies Reader brings together key writings from experts and contributors in this newly-emerging field. The articles embrace a broad range of writing on culture, including TV, film, art, music, dance, theatre and literature. They capture the shifting terrain of Chicana/o cultural studies, and reflect the changing social and cultural condition of Chicana/os in the United States. * the relationship between Chicana/o theories and academia. Chabram-Dernersesian, Angie, ed. The Chicana/o Cultural Studies Reader. New York: Routledge, 2006.